We've had pop up hotels, now we've got a pop up duck. Celebrity chef Heston Blumenthal is to close the Fat Duck, his three-Michelin starred restaurant, in Bray, Berkshire at Christmas and in a massive move, take his entire operation to Melbourne for six months. It is an amazing idea for a restaurant of such renown but Blumenthal has announced he will relocate his entire British staff to Crown Melbourne Resort in February next year. 2015 also marks the 20th anniversary of the Fat Duck and the globally recognised chef wanted to do something special to celebrate. Plus back in Bray the building is closing while his Berkshire kitchen is being upgraded and the dining room refurbished. Blumenthal's first restaurant outside the United Kingdom has been years in the dreaming and two years in the actual panning. 'I love Melbourne, I have been visiting for quite a long time, and one of my close mates, Neil Perry, has restaurants here. He also has restaurants in Sydney so it was always the question whether to go to Melbourne or Sydney?' Melbourne won out because Blumenthal had developed a relationship with Crown over several visits. Blumenthal is widely known for his theatrical approach to food;creating extravagant experiences as well as tastes and he says he will be bringing the Fat Duck's tasting menu to Melbourne, which includes signature pieces such as snail porridge and the 'sound of the sea' seafood dish, with an iPod inside a seashell playing seaside sound effects, as well as that firm favourite, and bacon and egg ice cream. 'It's between 12 and 18 courses, it is four hours of eating and it's pure, total theatre - like falling down a rabbit hole into a wonderland,' says Blumenthal. The Melbourne restaurant will seat 45 people and have a staff of around 70. When The Fat Ducks returns to the UK after their half-year 'holiday', Melbourne will not be left empty handed. In the same location as the temporary The Fat Duck at Crown Melbourne Resort, Heston and Group Executive Head Chef Ashley Palmer-Watts will open Dinner by Heston Blumenthal, so there will still be ties with Australia. 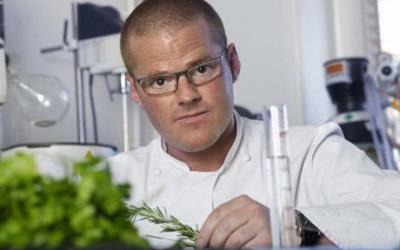 Dinner by Heston Blumenthal will become the only restaurant the chef has in his portfolio outside of the UK. 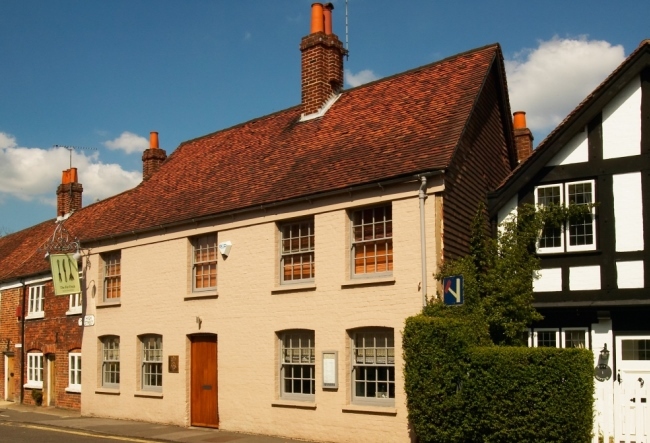 It joins a stable which includes The Fat Duck, Dinner by Heston Blumenthal London, The Hinds Head, The Crown at Bray, and The Perfectionists' Café.